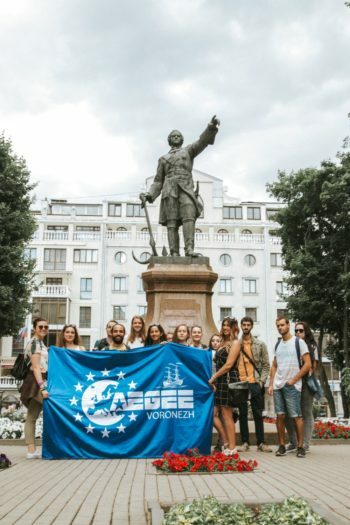 Top SU Host AEGEE-Voronezh: "We spread European values and love!" Do you know where Voronezh is? 250 kilometres east of Ukraine, 500 kilometres south of Moscow. What makes this city special? 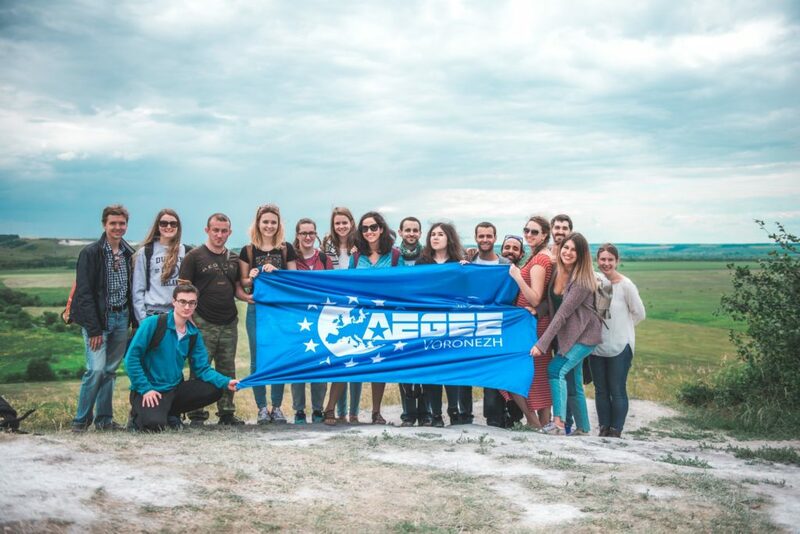 The Summer University organized by AEGEE-Voronezh was one of the top ten in the network in 2017. This year the antenna joins forces with AEGEE-Rostov-na-Donu, AEGEE-Kharkiv and AEGEE-Odessa: “It was a big decision for us! We are happy that we are doing it, because our history, culture and languages are so connected”, says AEGEE-Voronezh. The title of the Travelling Summer University, which takes place from 14th to 28th of August, is “The Slavic FOURce”, the topic: exploring Slavic culture and breaking stereotypes about Eastern Europe. Find out more in this interview. Golden Times: Your SU was one of the Top Ten SUs in 2017. Why, how did you manage? AEGEE-Voronezh: Our great team of organizers had already worked together before the project. We also had collected some feedback from the previous Summer University not only on a website, but also on paper during the last day of the event when the impressions were strong; this helped us not to repeat possible mistakes. As for the programme, we wanted to spend more time outside and added activities and trips we’ve never done before because our participants usually spent a lot of time sitting during the classes. And the biggest secret – near the hostel there was a nice shawarma place – everyone loved it! AEGEE-Voronezh: The main topic is the Slavic culture. We are organizing the SU with three other antennae, and we all are the Eastern Slavs. AEGEE-Voronezh: For so many years we focused on teaching language, but this year culture comes first. AEGEE-Voronezh: For the reason that it is summer, there is definitely going to be some beach time. Together we are going to celebrate the Independence Day of Ukraine and visit catacombs. During the Summer University we are visiting Rostov-na-Donu, Taganrog, Azov, Voronezh, Kharkiv, Odessa and travel more than 1000 kilometres! 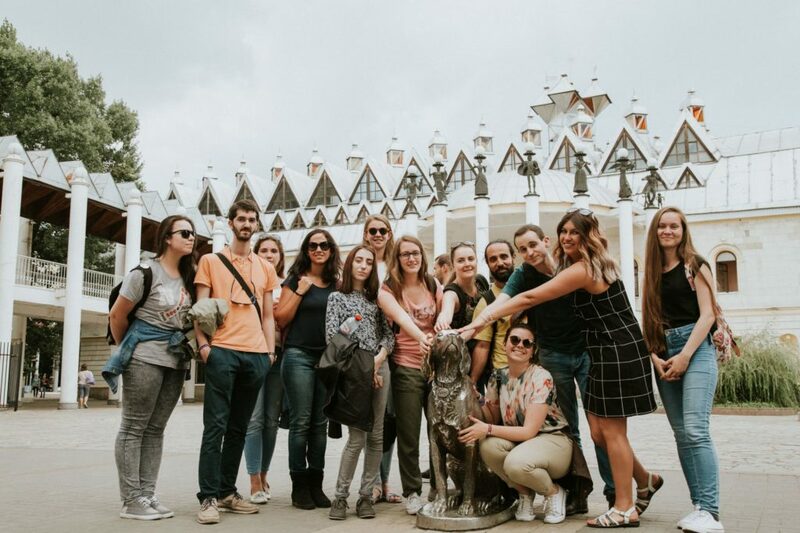 AEGEE-Voronezh: During the previous SU we spent most of the time in Voronezh and we only left the city for a few days, but this year we decided to visit not only more than one city, but more than one country! AEGEE-Voronezh: Our antenna was created on the 14th of February, we are not only spreading European values, but also love! It is always in the air. We are a nice group of good friends and we can work hard together, but love goes first. GT: Will you organize your event with another antenna? AEGEE-Voronezh: Yes, we are doing it together with AEGEE-Rostov-na-Donu, AEGEE-Kharkiv and AEGEE-Odessa. It was a big decision for us and we are happy that we are doing it, because our history, culture and languages are so connected. AEGEE-Voronezh: Everything is on the Summer University website and this Facebook group. AEGEE-Voronezh: Join 20 brave superheroes for an amazing Summer University, explore the rich Slavic culture, cross the borders and break the stereotypes. Let’s rock together!